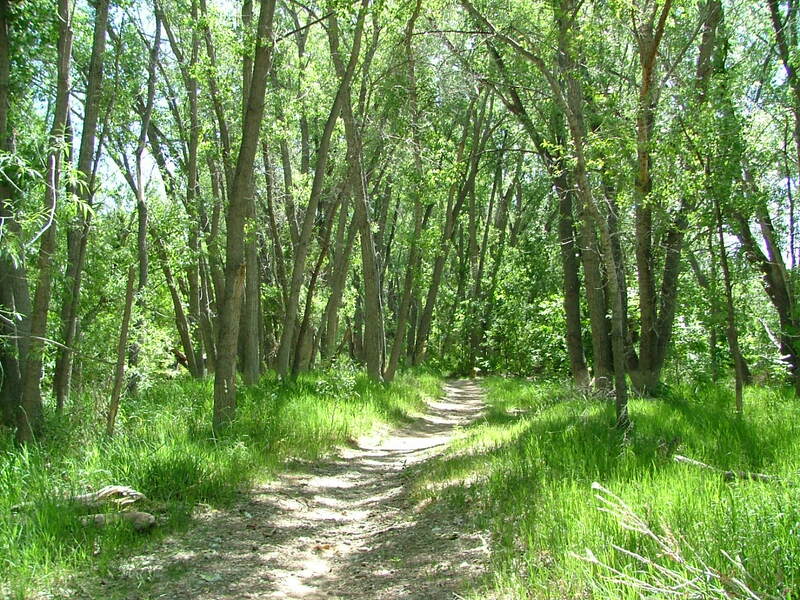 Recreationists on the Poudre River Trail, anglers and people looking for a nature break in the city enjoy Kingfisher Point Natural Area. You might see birds such as great horned owls (they occasionally nest here), kingfishers, wood ducks, pelicans and western tanagers. On a warm evening, you might hear chorus frogs. Some portions of Kingfisher Point do not look like you might expect a natural area to look. That is because sugar beet waste was dumped on the land for many years. The resulting lime, while not a hazardous material, is more hospitable to the invasive weed, kochia, than to native plants. Part of Kingfisher Point was once a farm. Restoration is in progress- watch how this site changes over the years, gradually returning to its natural state. 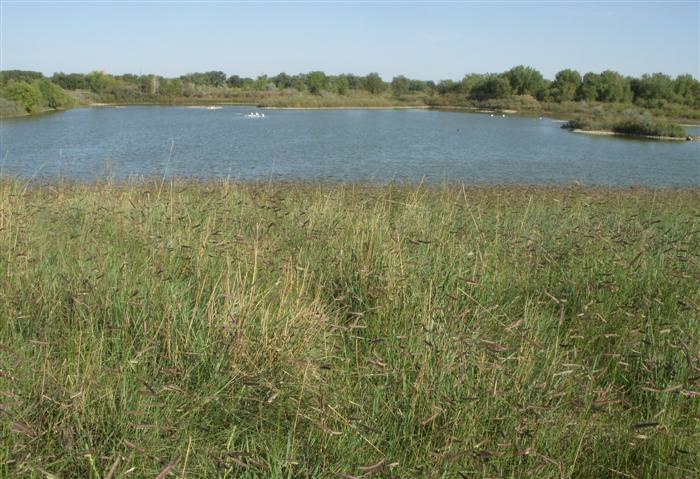 Part of Kingfisher Point Natural Area was acquired with the help of a Great Outdoors Colorado grant. Ponds near the parking lot (west side of Timberline Road) are enjoyed by anglers and occasionally by boaters (non-motorized). More fishing details are listed here. Restoration projects are one example of how residents and the Natural Areas Department conserve and care for natural areas now and for future generations. 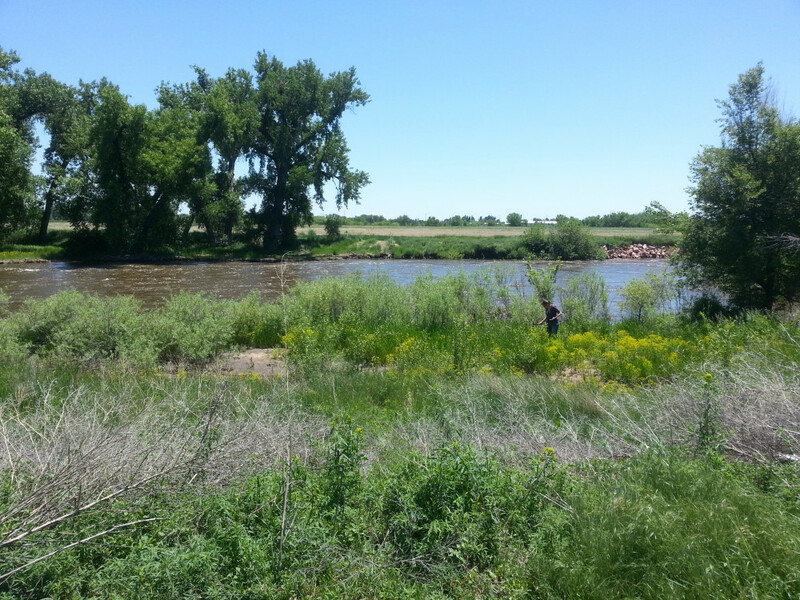 The restoration project at Kingfisher Point will connect a stretch of the Cache la Poudre River to its floodplain and improve habitat. At Gadwall Pond, wetlands are being created and habitat will be enhanced. Visitors to the Poudre Trail might see heavy equipment and construction, but no trail closures are necessary. 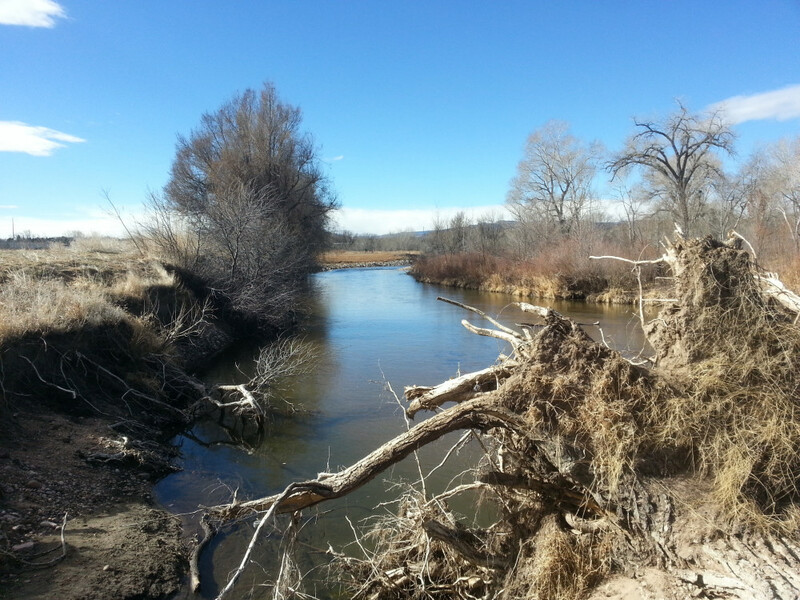 The Cache la Poudre River ecosystem relies on high water in the spring, so by lowering steep river banks, the flows can nourish the surrounding corridor and bring in native cottonwood seeds. 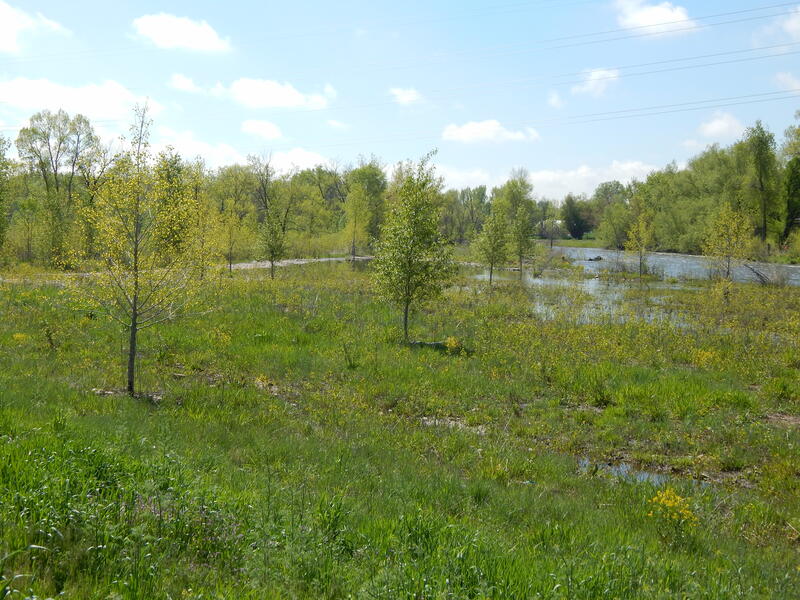 With the natural process restored, about eight acres of new native cottonwood forest are expected to be established. Additionally, non-native trees will be removed and replaced with natives providing habitat for wildlife. Work in the river channel aims to improve fish and aquatic insect habitat. Volunteers were important to the Kingfisher Point Restoration Project because they collected the seed that produced the wetland plants used to revegetate Gadwall Pond’s shores. About 20 volunteers planted native fruit-bearing shrubs on September 22 in celebration of National Public Lands Day. 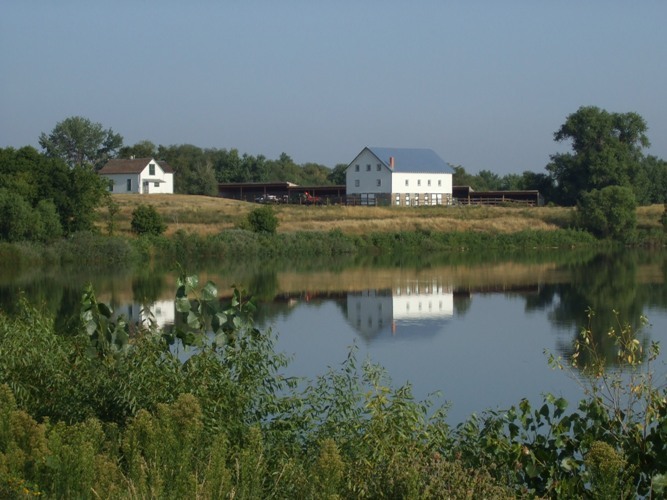 The restoration of Gadwall Pond has been underway since August, and work will soon move to the river. Design plans and permitting have been in development for almost two years and were reviewed by peer agencies. Earth moving is expected be completed by early 2019 with additional plantings scheduled for installation in spring 2019. Conditions Before Restoration: The Cache la Poudre River at Kingfisher Point with steep river banks and lacking native plants and trees. 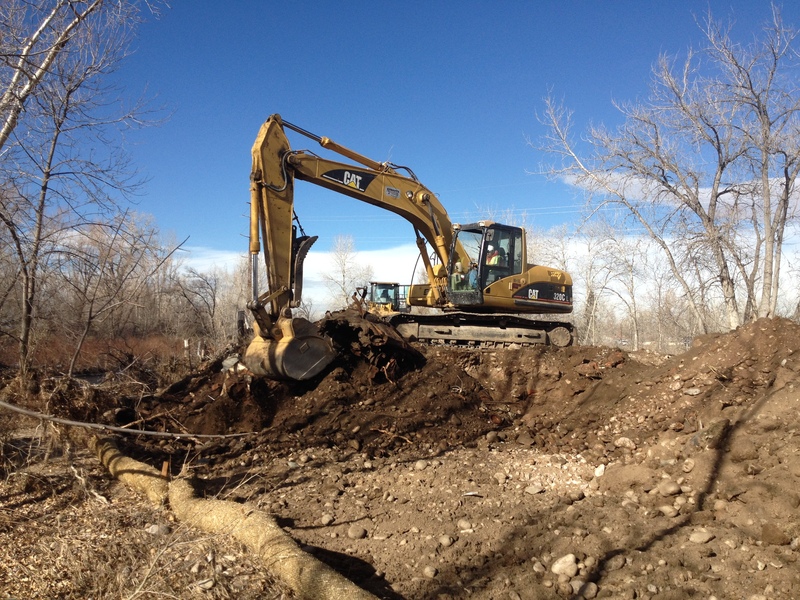 Restoration using heavy equipment will lower steep river banks to connect the river to its floodplain and allow high water flows to re-establish natural processes such as native cottonwood regeneration. High river flows will nourish the surrounding corridor and bring native cottonwood seeds which will grow seedlings like these. 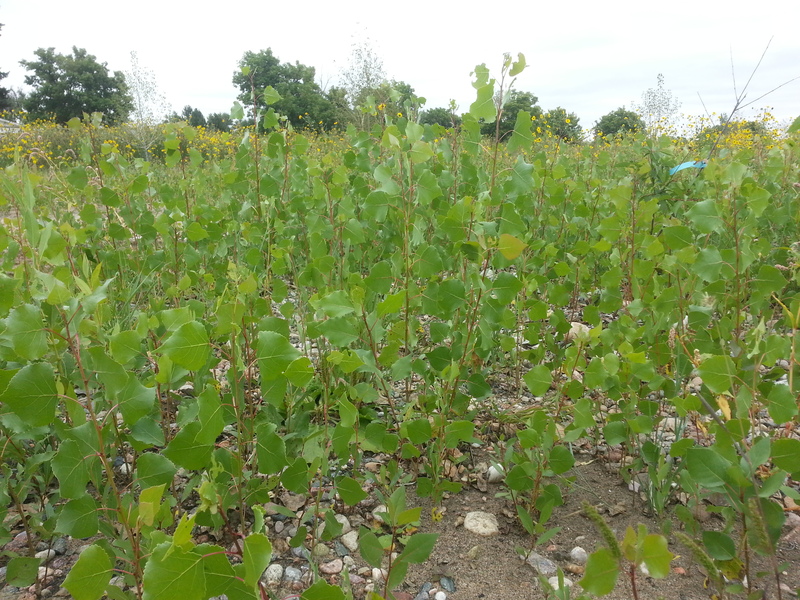 The native cottonwood seedlings will grow into small trees like these. The future native cottonwood forest with larger trees. Approximately 0.8 miles of the paved Poudre Trail (wheelchair accessible), 0.2 miles soft surface trail from parking lot on Timberline. Note that there is no trailhead parking at 1745 Hoffman Mill Road. A short spur trail goes from the Poudre Trail south to the Natural Areas Department's headquarters and maintenance facility (called Nix Farm). Check out the native plant demonstration garden that surrounds the office (Monday- Friday, 8 a.m.- 5 p.m.). Native Plant Garden Brochure. Parking lot on Timberline, between Prospect and Mulberry (approximate address is 745 South Timberline Road) or from Poudre Trail between Lemay and Timberline. Free educational programs at Kingfisher Point Natural Area are available for groups by request, call the Master Naturalist Program at 970-224-6118 or email YWNobGVibmlrQGZjZ292LmNvbQ== . Kingfisher Point is adopted by Kittle Real Estate, thank you! By picking up litter, volunteer adopters enhance habitat for wildlife and native plants while increasing fellow visitors' enjoyment. The flume and bridge at Kingfisher Point is on the National Historic Register, read the press release here.